Lol wish I knew you had already done one!!! We all think so much alike! Love it!!! Aww. This should have gotten more upvotes. I happened to see it in the latest the other day and had to log in to give it an upvote. Lol! That's a pretty funny picture. Not the movie. I saw the "filled in" version of your Y U No It. The filled in one looks great too. Both should be added to the Y U No template page if you haven't already. 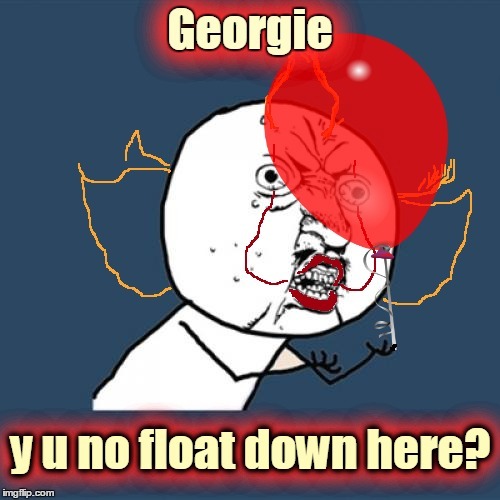 Georgie; Georgie; y u no float down here? 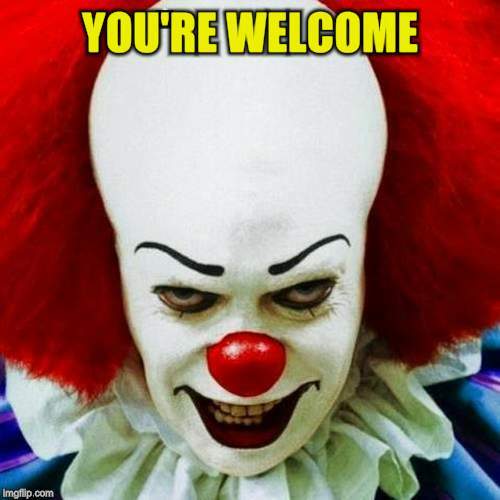 y u no float down here?